When local schools in Profitis, Greece, opened their doors to refugee children, it wasn’t just parents who arrived at the school gates. A detachment of police were present to prevent any confrontation with locals protesting that the newcomers would introduce diseases to the community. And it’s not just in Greece that such concerns have found a voice. Fears of a resurgence of TB, HIV, or the introduction of the flesh-eating cutaneous leishmaniasis have been repeated in public forums and social media across the continent. After all, everyone has seen the aid workers wearing face masks as they receive incoming refugees. Those charged with public heath across Europe resoundingly say not. In fact it is the refugees coming to Europe who are putting themselves at risk of catching illnesses. Dr Andrea Ammon, Acting Director of the European Centre for Disease Prevention and Control (ECDC) states that “people wrongly assume that refugees carry infectious diseases and that they will infect people in the host population. A more accurate picture is that refugees and other migrants are more vulnerable to infectious diseases but the risk of infection to a host population is very small”. The reason for this is straightforward. Most communicable diseases are a function of poverty, associated with squalid conditions. Refugees will have undertaken exhausting journeys and, when they arrive, living conditions are frequently overcrowded, with compromised hygiene and limited access to clean water. 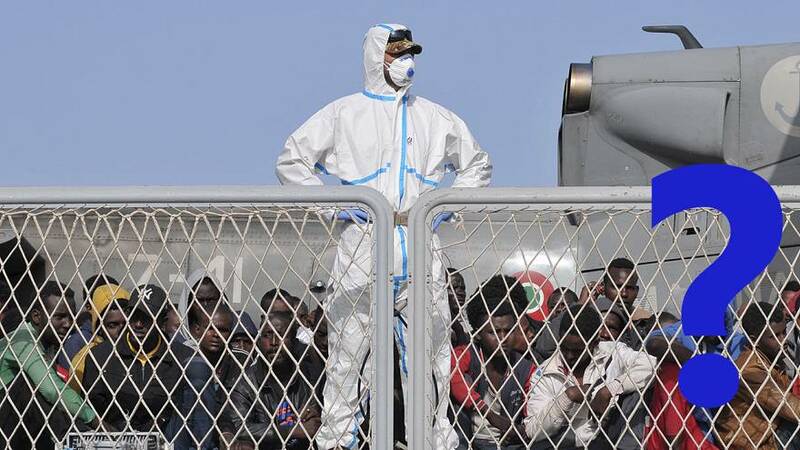 They may fall prey more easily to infections but, as Dr Santino Severoni, WHO’s Coordinator for Public Health and Migration, explains “they are no different from the way we would be if we were subjected to the same conditions”. Child refugees are at particular risk of contracting diseases routinely vaccinated against in Europe. They have often fled from countries where the health system has broken down, resulting in a lapse in the vaccination programme, as is the case in Syria, for example. The solution is simple: the European Commission’s Directorate General for Health and Food Safety has been coordinating a vaccination programme to give child refugees all basic vaccinations upon arrival, with boosters subsequently being administered by the host country. The children in Profitis were all vaccinated before being admitted to school and therefore pose less threat to public health than unvaccinated European children would. Similarly, horror stories about flesh-eating diseases and ebola have very little to do with refugees. As Dr Severoni points out, “anyone with ebola would be unlikely to make it to Europe in the first place”. To date, all cases of such diseases in Europe have been linked to international travel and aid work rather than migration. In this respect, international airports present at least as great a danger to public health as refugee boats. In either case, the WHO and ECDC agree that any outbreaks can be managed and contained by appropriate surveillance and monitoring. These assertions are backed up by hard data , which shows no increase in the national incidence of the diseases causing concern, such as TB and HIV, as a result of refugees. The refugees themselves, however, continue to suffer from a range of preventable diseases. “If there is one thing I would recommend,” sighs Dr Severoni, “it would be expenditure to allow refugees access to services and to prevent their exclusion. The simple truth is that this would be the most effective measure we could take against the transmission of disease”.